Hello, I really need help with this： I bought a 16 GB iPhone 4 and I’ve got over 3,00 songs on it from my iTunes library on my MacBook. However, I recently got the 64GB iPhone 8 and I was wondering if I could transfer the songs from old iPhone to my new iPhone 8 without having to sort through all of them. iMyFone TunesMate iPhone Transfer is a platform that is used to manage Apple devices and products. It is a great tool to move various files between your iPhone, iPad, iTunes, Mac or computer. With the iMyFone TunesMate comes a type of flexibility not commonly experiencing when transferring files with the iTunes. Therefore, it's highly spoken by lots of media, such as Getintopc, Geekreply. Quickly and easily transfer music from your PC to and from your iPhone/iTunes. Transfer and move files from your iPhone to either an external hard drive, iTunes or media player. Supports all kind of files downloaded from google play, Amazon and any other part of the web. Transfer a wide range of files such as podcasts, pictures, videos, audiobooks, iTunes U, playlists, movies and 10+ more. 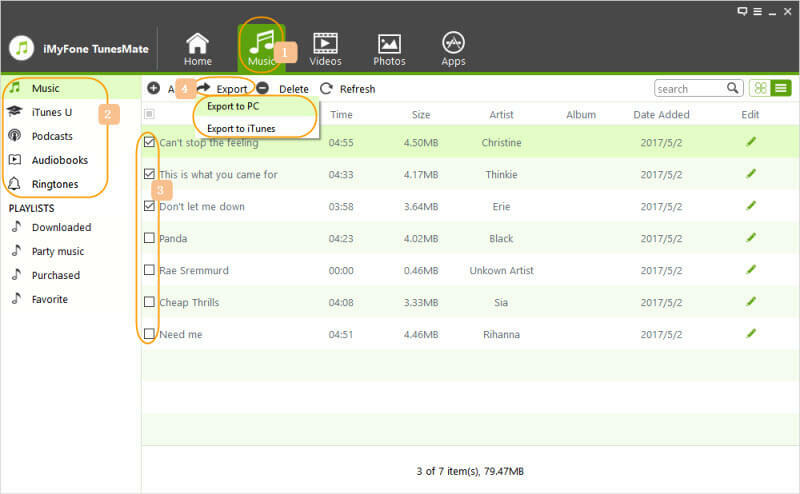 Step 3: Choose the songs you wish to transfer to your PC and then click “Export” and then select “Export to PC”. Step 1: Download TunesMate on your computer and launch it. Connect your device to your computer with your USB cable. Step 2: Click on the “Music” option on the TunesMate tab and then choose “Add > Add File/Folder” to select the music files you wish to transfer from your computer. Step 3: Proceed to select the music files you wish to transfer to your iPhone and then select “Open” to begin the transfer process. Step 1: Go to Settings > Music with the iPhone that has the music on it. Step 2: Find Home Sharing by scrolling down. Step 4: Repeat steps 1,2,3,4 on the iPhone you want to transfer the music to. Step 5: Open the music app on the iPhone you want to send music to. Step 6: If you use Apple Music, go to “My Music” and then “Songs” or “Albums” and choose Home sharing. if you do not use Apple Music, select More>Shared and select the library you want to listen to. Step 1: Launch the iTunes Store Application. Step 2: Select More > Purchased. Step 3: Select Purchased > Music. Step 4: Select All Songs. 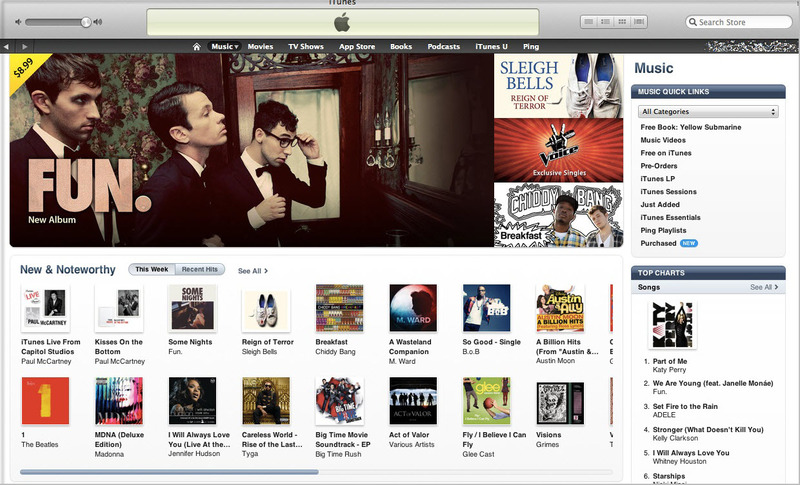 Step 5: Select Download All songs. Download speed will depend on your internet connection and number of music to be downloaded. Step 1: Ensure that both devices are connected to Wi-Fi and have their Bluetooth turned on. Step 2: On the target device: On iOS 10 and below; go to control center and select “AirDrop” on iOS 11 and above go to control center, press and hold the top left module and select “AirDrop”. 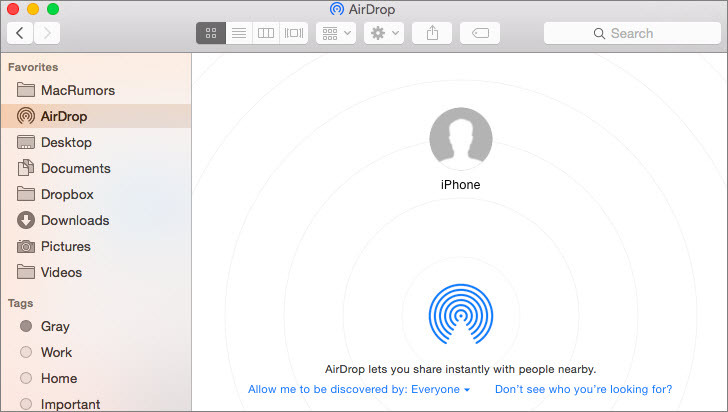 Step 3: Select either “Contacts Only or “Everyone” to enable “AirDrop”. Step 4: On the source device, go to Apple Music and select the Music/Album to Transfer. Step 5: Select the “…” symbol and tap on “Share Song/Album”. Step 6: Select the icon for the target iPhone and wait for permission. Step 7: Select “Accept” on the target iPhone to receive the song via AirDrop. 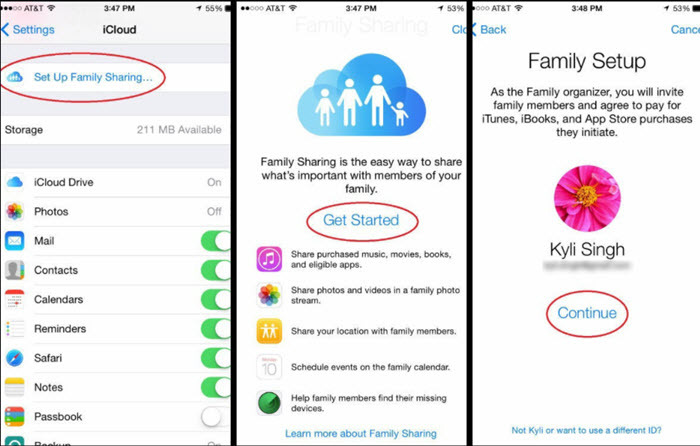 Step 1: Navigate to Settings > iCloud > Set up Family Sharing> Get Started > Continue on your device to activate Family Sharing. a credit or debit card is needed. Step 2: As the organizer of the Family Share Plan, you will set up and be responsible for the payment of purchases of other members in the future. Step 3: Select the “Add Family Member” option to add a family member to your group, you can add up to 5 people. 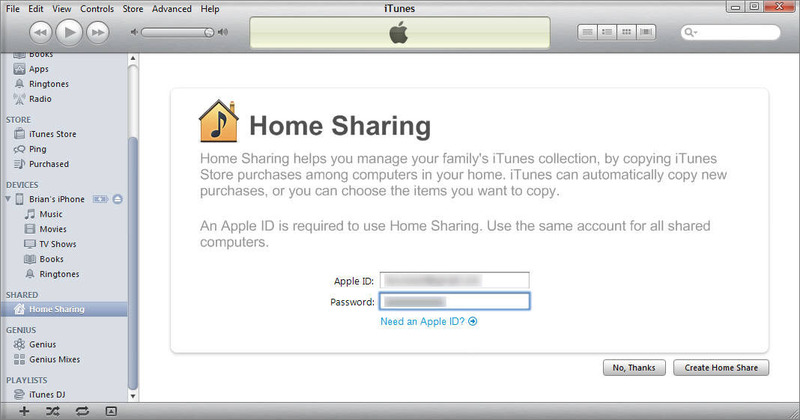 Step 4: Once you have configured Family Sharing, every member of the group can have access to each other’s music, TV shows, Apps, movies, books and so on. Go to iTunes Store > More > Purchased. 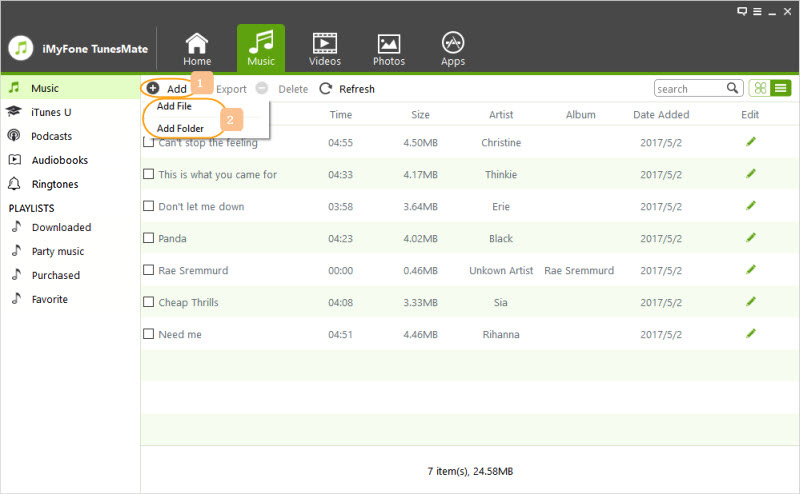 You can choose a family member to download any song you wish from them.